A collection of gold coins worth a total of $1m US that was discovered by chance in a Champagne vineyard a year ago will be sold by Bonhams during its June auction of Rare Coins and Medals in Los Angeles. The discovery of the coins last February occurred when, according to the vineyard, several of them rained down on a worker remodelling a former grape-drying facility. 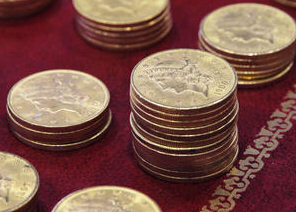 The Collection features 497 gold US coins minted between 1851 and 1928 with an approximate value of $1 million. The coins have been untouched for nearly a century and range in condition from Very Fine to Mint. It is not known how the coins found their way to the attic in the eastern village of Les Riceys in Champagne, but the building was owned by a wine producer who traded with the US and England in the 1930s. Paul Song, Director of the Rare Coins and Banknotes Department at Bonhams, said of the auction, “Our Bonhams Paris Office was instrumental in working closely with the consignor, Lanson-BCC Group, parent company to Alexandre Bonnet Champagne among others, to ensure that the Collection will be presented and sold at auction in the US as a newly discovered treasure.” The proceeds from the auction will go to the individual who discovered the coins, described as “a modest employee of the Lanson firm,” who brought the Collection to the attention of the company. The cold and rain of February is a traditional time for us Brits to plan for summer sunshine. 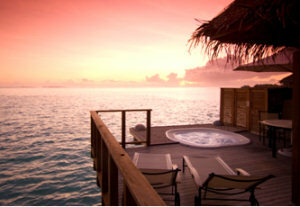 One attractive option (not least because of its extensive cellar of over 20,000 bottles) would be the luxurious resort of Conrad Maldives Rangali Island. The resort has introduced three new ways to enjoy Champagne for its guests: ‘Bubbles on the Beach’, ‘Sparkling Hour’ and ‘The Perfect Sundowner’.Priced at US$800 (around £508), ‘Bubbles On The Beach’ is the ultimate Robinson Crusoe experience (in a bit of style) as guests are whisked off by speedboat where an indulgent picnic hamper, complete with a bottle of Champagne, awaits them. The ‘Perfect Sundowner’ would do me just fine however: guests choose their preferred Champagne from the list of over 130 bottles available, which is delivered to their villa just before sunset along with a complimentary selection of canapés. Yes please. 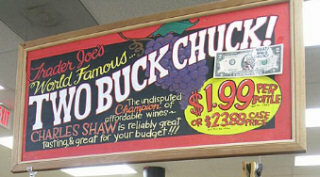 The phenomenon of ‘Two Buck Chuck’ took the US by storm just over a decade again when discount grocer Trader Joe’s began selling the wine across its Californian stores for $1.99 a bottle, a price which, remarkably it has maintained until last month. Made by Charles Shaw and selling 5 million cases per year through Trader Joe’s alone, the price is leaping to a dizzying $2.49. Alison Mochizuki, spokeswoman for Trader Joe’s, says “Weve held a $1.99 retail price for 11 years. The move to $2.49 allows us to offer the same quality that has made the wine famous the world over.” Owners of the Charles Shaw brand, the Bronco Wine Company, said it was able to keep the price so low because it owns 18,000 hectares of vineyard, which insulated it from large fluctuations in grape prices, but bad harvests in 2011 and 2012 have impacted on the price. Children’s mental health charity Place2Be is running its flagship Wine Dinner fundraising event for the second year. Promising “an evening of fine wine and fantastic food, perfect for corporate hospitality and wine lovers alike,” the event takes place on 21st March from 7pm at Merchant Taylors Hall, Threadneedle Street, London, EC2R 8JB. Tickets are £5,000 for a table of 10 and further details can be found on the Place2Be website. Guests will enjoy a champagne reception before moving into the stunning Great Hall where an interactive and competitive ‘Wine Man’s Bluff’ quiz will precede a three course meal. The evening will finish with a grand auction. Vineyard plantings have been going at a phenomenal rate in China, as investors foresee a significant rise in domestic consumption, and perhaps even a growing presence in export markets. 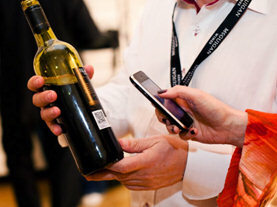 Now, according to the latest figures from Vinexpo, the country is set to become the world’s sixth biggest wine producer by 2016. They also predict that China will become the world’s second biggest consumer by the same time, based on value of sales. The astonishing increase in volume sales of wine in China grew by 194.5% from 2007-2011, and whilst it is set to slow down, the forecast until 2016 still shows growth of another 47%. 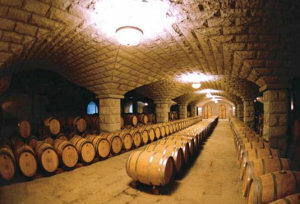 (right: Changyu winery).